Do you want to learn more on Taurus and Taurus compatibility? Then you have just come to the right place. Check it out. A couple formed by Taurus and Taurus have actually a high level of compatibility. But before checking the compatibility, learn a bit more about this zodiac sign. Those born under the sing of Taurus would have a very harmonious love affair with people from the same zodiac sign. This is due to the fact that both people on this couple are of the element Earth and its ruler is Venus that poured on them a good dose of sweetness and much love. Taurus is a fixed sign. Fixed signs are related to stabilization, determination and persistence. They are also a bit stubborn and inflexible and have the need to feel that others consider that they are right. This also means that Taurus is able to resist changes, which will make the relationship between the couple formed by Taurus and Taurus consolidate quite easily. Taurus and Taurus compatibility: how will the relationship work? Taurus is a very sensual partner and surrenders to his partner unconditionally, enjoying love to its fullest. However, those born under the sign of Taurus are also very jealous, which might cause this couple some trouble. Remember that we are talking about here of a Taurus and Taurus couple. So it could be a dramatic dose of jealousy if they don’t learn to trust on each other and to control themselves. Other topic that might be of some issue to this couple of Taurus and Taurus is their excessive materialism, which can actually cause some obstacles between them. Both of them will wish for something for their personal benefit. On the other hand, both partners want to have a home and create their own family as they are great family lovers. 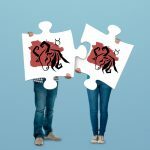 Communication should not be an issue for this Taurus and Taurus couple and it could even help them stabilize their relationship. Taurus is able to expresse itself in a realistic and very authentic way. As the fixed sign Taurus is, both partners show great signs of stubbornness which makes them very persistent in their conversations. Perhaps this may even bring some conflict between the couple, but nothing that cannot be solved with some patience. Taurus is a very social sign and like to integrate in society and to have many friends. They are usually quite extroverted people, so the relationship will always be full of fun. Taurus is a sign that expresses itself in intimacy with love and exorbitant passion and has a full sexual relationship and full of unconditional affection. The relationship between Taurus and Taurus is always full of details that makes them fall in love even more for their partner and also makes them feel closer and closer every day. It is very much possible that this couple will have the feeling that they were actually born to be together and fully live the immensity of their love.